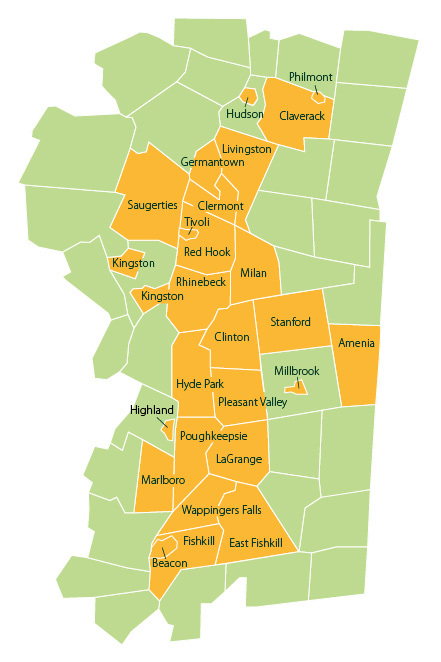 If you’re searching for a local energy supplier you can count on in the Mid-Hudson Valley, New York region, you’ve come to the right place. We at Nash Bros. Oil pride ourselves in delivering quality heating oil and home comfort services to homeowners throughout our Columbia County, Dutchess County, and Ulster County service area. Whether you need a fuel delivery, heating system repair, or air conditioning system installation, we’ve got your complete HVAC needs covered. Along with all the heating and cooling repair and installation services you need, we offer greater convenience for our customers by way of offerings like oil price protection programs and online bill payments. If you would like to learn more about our company or have a question to ask, please feel free to contact us here any time. If your town is listed below and you’d like to become a customer today, simply click here to get started!